Europe and cycling and European cycling after 30,000+ miles on the road. I came across an interesting report this morning. It provides statistics for European bicycle-based death rates. Oh, happy day. Don't worry, I'm not a monster. I'd wanted to write about Europe's most dangerous roads for cyclists. From my gut feeling, having cycled throughout most of Europe, the countries that felt scariest to me were Romania, Ukraine, Russia and the UK, the first three because of terrible roads and bad driving, and the latter because there are just too many people in a small space and the roads are badly designed for cyclists (yes, I know they aren't designed for cyclists at all). Anyway, I wanted to put together something a little more objective. 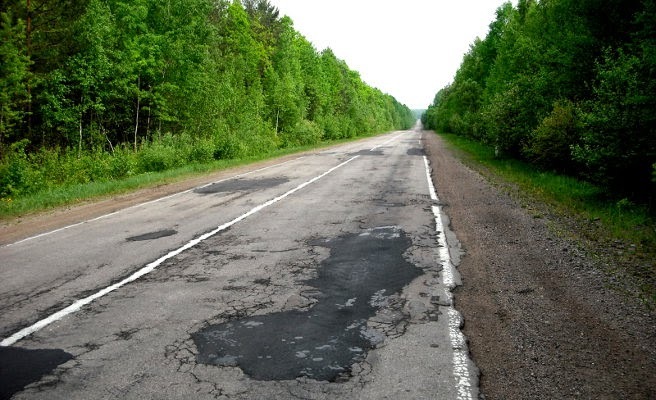 The best road in Ukraine. Both documents give information for Poland and Finland but both countries' bike usage is listed as 0%, which is unlikely for Poland and definitely not true of Finland – they have a well-developed cycle path network – and so maybe the source data is dodgy. I didn't see anyone else cycling in Poland and so if we give Poland a low percentage usage but higher than zero – you can't divide by zero – then Poland leaps to the top of the Danger List. From what I've read on cycling forums, quite a few would agree with that. Congratulations, Poland! But at least my hunch about the UK seems right, which, as a Briton, is no consolation. Get on your bikes and cycle to mainland Europe. Almost everywhere else is safer. The European death document also tells us the most dangerous day of the week to cycle. It's Saturday in Slovenia, Tuesday in Greece and Monday in France. But in Denmark, the Netherlands, Romania and the UK, as well as overall in Europe, the day to stay indoors is Friday. So, it's maybe better to sleep at your desk on Thursday night and cycle home again on Saturday. Or just stay at home and plan your next cycle tour. I cycled from Faro right up through Portugal, didn't seem so scary, it was the stray dogs that kept freaking me out. 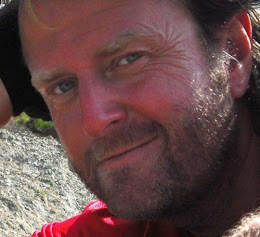 I am Polish, I regularly tour by bike (am on a train right now, off for a quick tour in Loire), used to work as a bike courier in Paris, have cycled across all Europe (Turkey included), have even been involved in a couple of self-induced accidents but it was in my home country that I have gotten traumatized for life and swore never to ride there again. To give you an idea: an overtaking bus decided to show me where my place was (not on the road for sure), and overtook me so dangerously close that it touched my steering wheel with its side for several seconds/meters when passing me by! l live in slovenia and l ride in it very low.because ride the bike in slovenia is very dangerus buissnes.so l have luck that l live near border to austria.there is heaven for bikers. Portugal dangerous - Poland safe? mmm...I was only in Portugal a couple of days but it seemed okay to be honest. Especially compared to Spain. I was damn intimidated there. Forced onto huge roads (autopistas - the motorways that you can cycle on ffs!) that ordinarily I would not use, just through lack of alternatives. Poland I was in this year for two months. Loved it. Roads were shite, drivers were mental, not to mention rabid dogs. But there was a comprehensive network of smaller roads and the folk were friendly and the countryside fine. I think the statistics reflect casualties in cities - regular use on ordinary roads - rather than country cycling which is what tourers like me do. For country-specific cycle touring information or to see photos from my 22,000 mile ride, please visit UniCycle50.com and select the relevant option. And if you have information to add about a particular country, please send it via the form at the bottom of the relevant page. My Book - Available Now! The book of my ride - No Place Like Home, Thank God - is now available for Kindle! 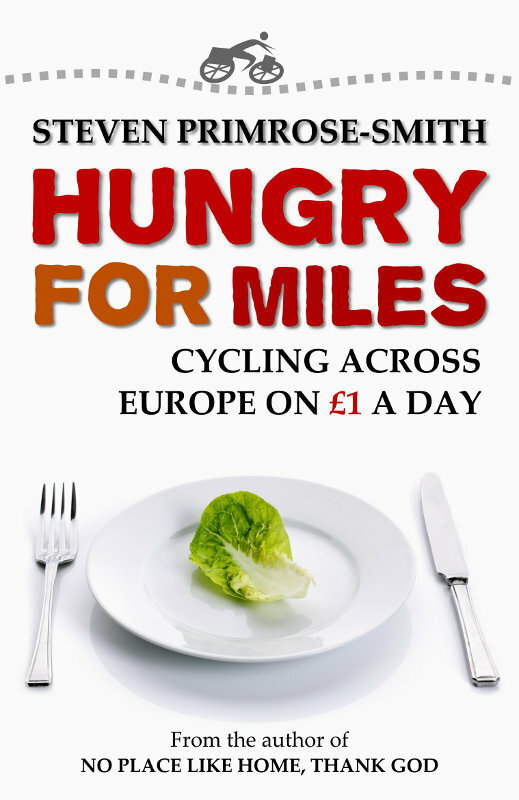 The book of my 2015 quest to cycle across Europe on £1 a day. Did we make it to Gibraltar?